Our range of products include kuboos making machine, thattai murukku making machine and murukku making machine. Being the most reckoned names in the industry, we offer technically advanced array of Kuboos Making Machine. Our entire product range is manufactured using quality assured raw components and advanced technologies. Kuboos Making Machine ensures easy installation and requires minimum maintenance. We are counted amongst most well-known names in the industry, offering technically advanced array of Thatta Making Machine that are sturdy in construction and are performance based. Our entire product range is technically advanced and ensures noiseless operations. 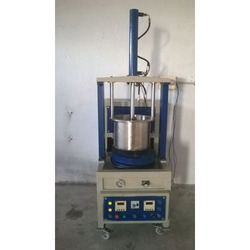 We are counted amongst most well-known names in the industry, offering technically advanced array of Murukku Making Machine that are sturdy in construction and are performance based. Our entire product range is technically advanced and ensures noiseless operations.